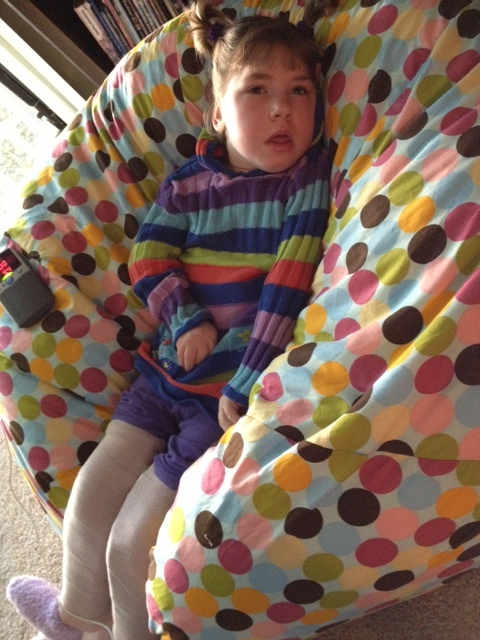 Remember praying for little Greta? Well I have some good news. Her status on Reece’s Rainbow now says “My Family Found Me“! I spent some time trying to find out if her family has a blog, but so far no luck. Keep praying for this little girl. From what I understand, adopting from Ukraine works a bit differently than it does in other countries. While you can plan to adopt a specific child, until you go to Ukraine and are matched with that child in-person, there is no guarantee you’ll get him or her. You can read how the process works on the International Adoption Bureau of Consular Affairs website. The bottom line is, it’s awesome that a family has decided to make Greta their daughter, but both Greta and her family still need plenty of prayer! And while you’re at it, don’t forget to keep praying for Olexander, the current A&P child. We’ve now prayed for eleven children! I admit it’s getting hard for me to remember all their names and needs. They all deserve to be remembered, though. When you have a few extra minutes, try scrolling through the list and praying for each of them. Many thanks to Corina Lucas for posting on the TIO Facebook page to let us know the good news about Greta. This little girl’s smile captivated me as I looked throught he waiting children listed with the Jing Yi Program. The Families Through International Adoption website explains the origins of the program’s name. When we first started this program, we were saddened to learn of the passing of an infant girl whom we had hoped to find a family for. 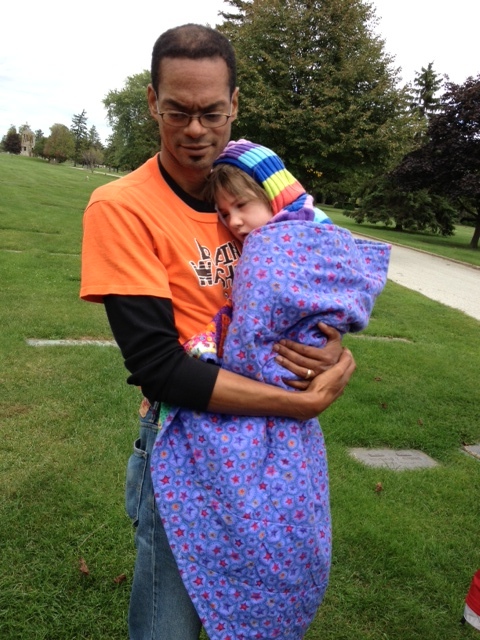 She was a newborn with Hep B and HIV, but wasn’t strong enough to survive. This little girl’s name was Jing Yi, which means calm, joyful, harmony. We decided to name this new program the Jing Yi Program to not only honor her short life but to remind us of how important it is for these children to receive the care they need, even before they are placed with their forever families. Xiao is a beautiful 7 year old girl with knee valgus and incontinence. She appears to have had some type of spinal surgery prior to coming to the orphanage at 10 months of age. 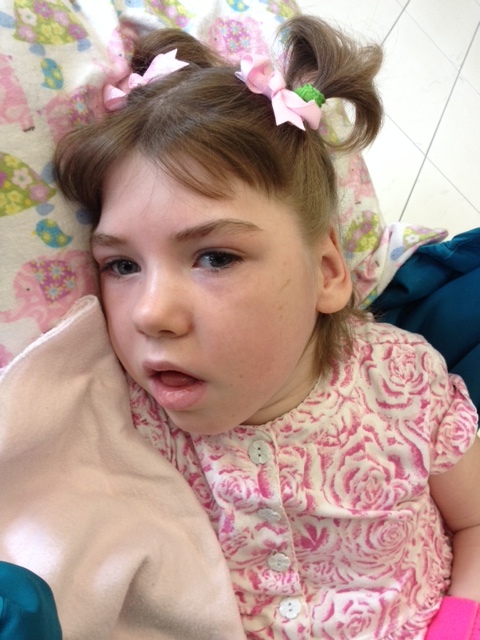 She had shown delays in language and mental development, but she has been improving every day. She can take care of herself, crawls and can walk some by leaning on the railing. She is described as lively and cheerful and likes to sing while her best friend dances. Her caretakers say she is smart, polite and likes to give them a warm hug when they come to work. Share about Xiao on social media to help her find a family. In China, when a child turns 14, he or she no longer has the option of being adopted internationally. I noticed Sunny while exploring No Hands But Ours, and site/blog that informs, supports, and advocates adoption of special needs children from China. Wonderful Sunny needs her family to find her soon, before she turns 14 and ages out in March of 2014! Her file is on the shared list. Sunny is described as a positive and active child. She has good self-care ability and gets along well with her classmates. Her favorite activities are dancing and playing sports. Sunny’s special need is post-operative congenital cleft lip and palate. Pray That: A paper ready family would step forward to make Sunny part of their family and that Sunny would have peace, comfort, and faith in God. See sharing buttons at the bottom of the page. As you crawl on the floor. Or why you’re laughing still. Someone to love you true. The path to family’s love. 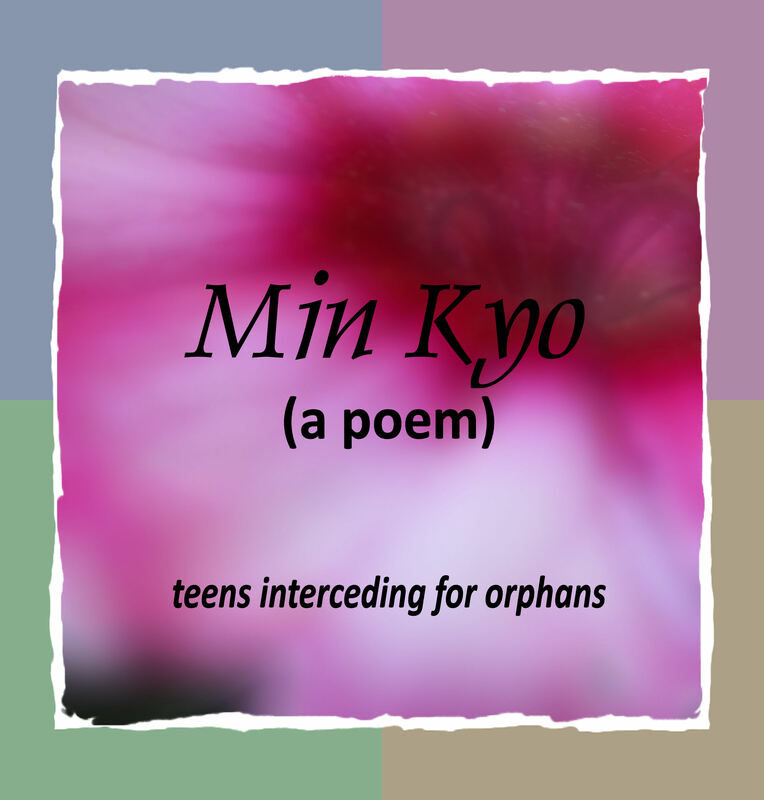 This poem was written in honor of the current Advocate & Pray child, Min Kyo. (Read about Min Kyo here.) To my surprise, shortly after posting about this precious little girl, a young woman I know contacted me to say that her family is inquiring after Min Kyo. She asked for prayer that, “if the Lord wills, he will break down any walls keeping her from her family.” Please pray for Min Kyo and this family who loves her. Please feel free to share this poem on your own blog, e-zine, etc. I just ask that you keep the copyright written below the poem and that you include a link either to this post or to Advocate & Pray: Min Kyo. It would also be wonderful if you could share a link to where you shared it in the comments section. Thank you! Miss yesterday’s post? 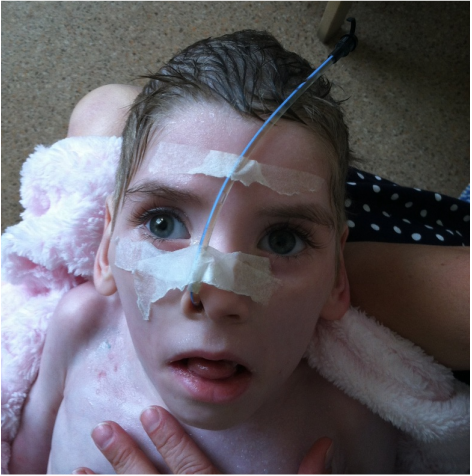 Read part of McKennaugh’s story here –> Loving Katia (part 1). My prayers were answered when, after months of advocating, Katia’s story finally fell into the right hands. The Russell family read a poem that I had written about her in an Above Rubies e-zine and contacted me for more information. I sent them a long email about a child thousands of miles away with medical complications that I couldn’t even pronounce. They prayed. God answered. And the Russells started the year long process of adopting Katia. There were home studies and paperwork, dossiers and passports and fundraisng. 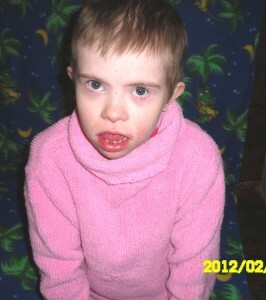 When at last they got to Ukraine, they found Katia in an even worse condition. She was seven now. She was still fifteen pounds. After each visit they had with her, the Russells wondered if there would be another. Katia lay in her crib, seizing. But she lived. She was the weakest person that I have ever met but, somehow, she was by far the strongest, too. Katia made it to the US. She was immediately admitted to a hospital here. Seizure medication, surgery, food. Food. Katia doubled her weight and grew four inches in 4 short months. Her blind eyes began to see. Casts shaped her legs, slowly, so they could bend. Her hair grew out and she has a mother to do it up in bows. She has three siblings always darting in to kiss her. She has a daddy to hold her. Now she is no longer a unwanted orphan child. She is someone’s daughter. The change is very visible. She is beautiful. Every time I talk to Katia’s mother, Heather, or see a photo of this little girl, I think, “I came so close to giving up.” I had spent many endless days–months–trying to advocate for her and find her a family. For the longest time, it had come to nothing. I wondered within if I should give up. But I didn’t. I thank God I didn’t, for my words finally reached a family. I think that nothing in the world feels as good as knowing that you changed someone’s life. That you, with perseverance, helped a child leave a place where they were destined to live a life in a crib. I’m trying to say this in a way that doesn’t sound like I’m trying to collect credit for myself, because I’m not. 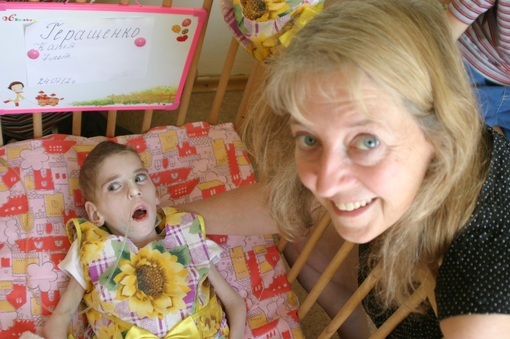 I just want to say that anyone can make a difference…even a 14-year-old girl with Ukrainian soil on her feet who decides, “God wouldn’t want this child to die without hope. I can’t wait around for someone else to speak for her when I’m supposed to.” I wasn’t anyone special. I just knew that Katia deserved to have a childhood like I had had. It took a lot of time, effort, love and, most if all, a lot of God’s help. The point of this post is that teens can make a difference and that includes you. You can change someone’s life. All you have to do is try. Go for it. 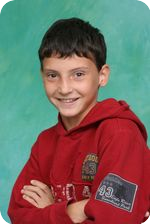 Want to help a Ukrainian orphan? Yuri, a seven-year-old boy, is being adopted from Katia’s orphanage. I met him while I was there and he was the sweetest child. I was able to find him a family only recently and they are trying to raise funds so that they can bring him home. Visit the following link and consider donating to his adoption fund: Hope for Yuri. Have you ever seen before and after photos like this? (I haven’t!) How does this story touch your heart? I found part of McKennaugh’s story on The Rebelution blog. She’s a perfect example of what a huge impact teenagers can have in orphan care. I cried reading the story she sent about Katia. (Yes, there’s a theme here. I cry over everything related to this subject.) What really amazed me were the pictures of Katia. I’d never seen before and after picture like this. They are stunning, visual proof of the redemptive power of adoption. And now, please welcome McKennaugh. I lean forward on the red-brown couch trying to get a glimpse of the next room. The workers were busy for a moment and the children, like always, were so quiet. As empty as it seemed, I knew that Davit, Vanya, Miroslav, and Katia were in there. Miroslav with his angel smile, Davit with the sad, longing eyes, Vanya with the giggle that made you just have to laugh along and Katia…Katia. Oh, how she needed someone. A mama, a papa…anyone. I stood slowly and walked to the door. Katia’s crib was in the corner. I crept over to it. A tiny little girl with huge blue eyes stared blankly up at me. I touched her stiff hands. “Pryvet, Katia,” I whispered. She flinched ever so slightly, but remained staring straight ahead. She was blind. I reached down, moving my hand along her legs. I cringed at the feel of them. They were bent at strange angles. And they didn’t bend. Not at all. She was fifteen pounds. She was six years old. Orphanage life is not kind. Tears stung my eyes as I slipped my large hand over her baby fingers. Her medical needs were terribly severe. She had not received the care she needed here. It was a miracle that she had survived this long already. Time was not in her favor. I stood, fourteen years old and face to face with the unfairness of the world. If Katia had been born in the US she would have been a completely different child. She wouldn’t have been malnourished and still in a crib. Someone needed to help this little girl; help all the children here who were underfed and had no stimulation. They lived in cribs at the ages most kids should be going to school and spent each day hoping for love that never comes. But who would help? Almost no one outside of Ukraine knew of Katia’s existence. Then I realized that no one would advocate for Katia to get out of this place, no one would reveal her plight to the world. No one, unless I listened to God and did it myself. She was six. I was hardly over twice her age and, yet, she had to depended on me to do something. Our Lord can use the most unlikely people to make change. Come back tomorrow for the rest of the story.